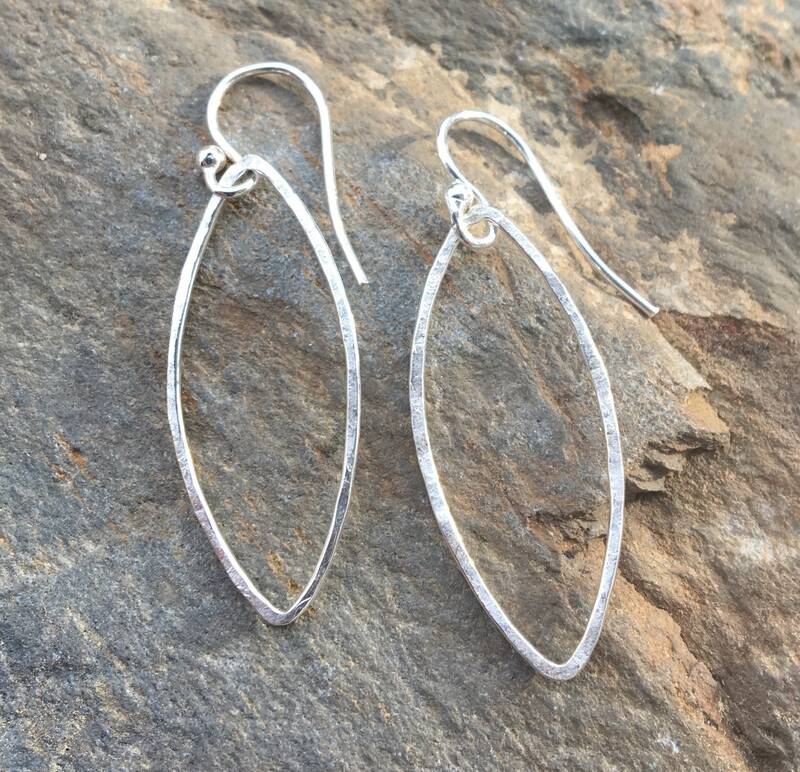 These sterling silver earrings are gently hammered to give them a rich texture. 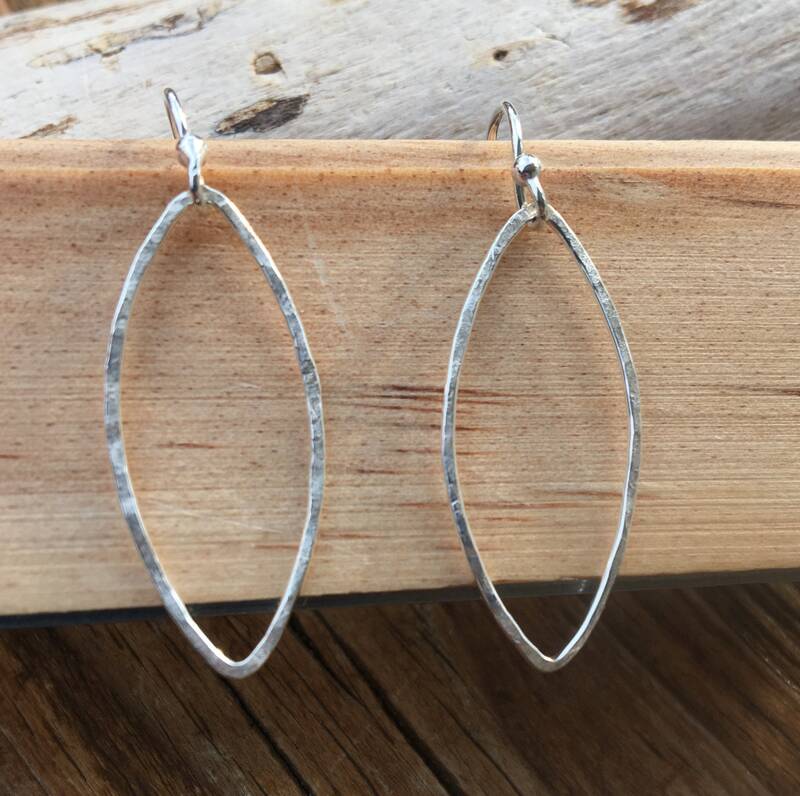 They are lightweight on your ear & are perfect to wear everyday! 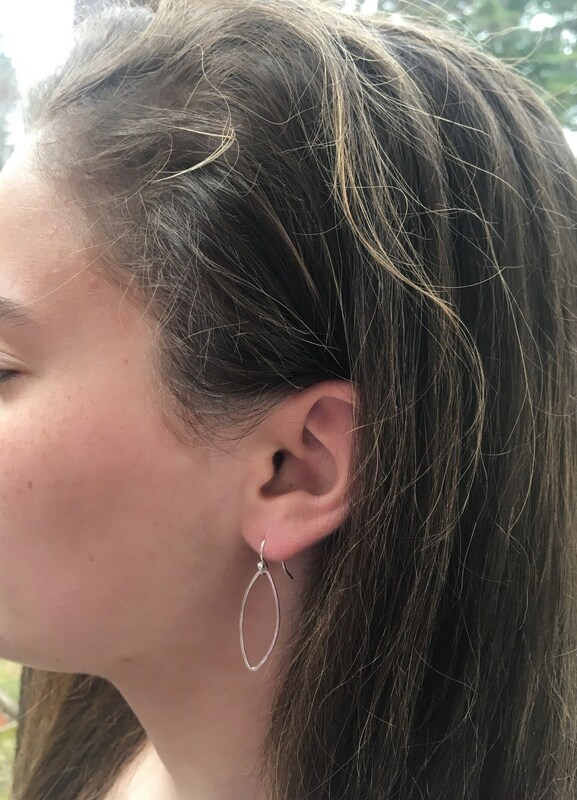 You may choose sterling ear wires (as shown) or sterling leverbacks. Measure 1 9/16” long & 9/16” wide. 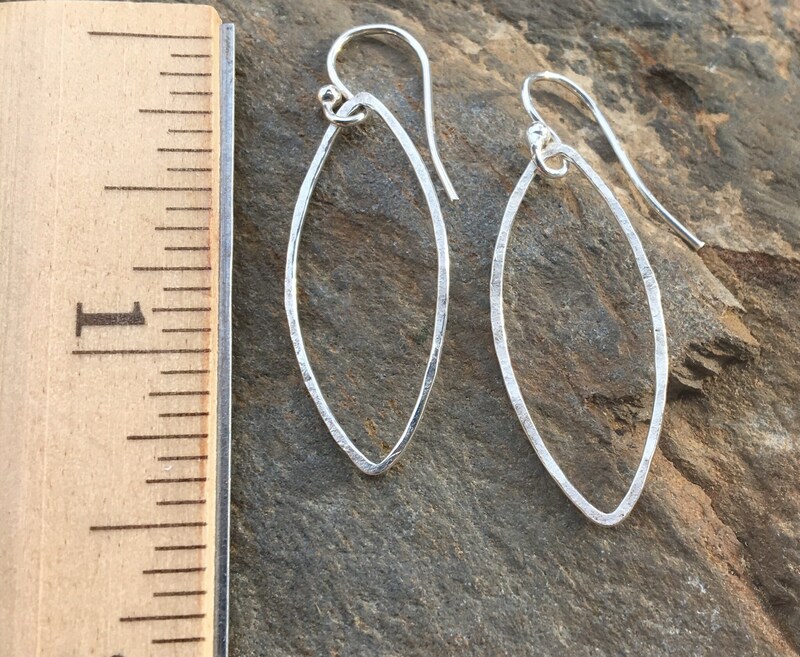 You will receive a brand new pair of earrings. The pair shown on model is her personal pair. 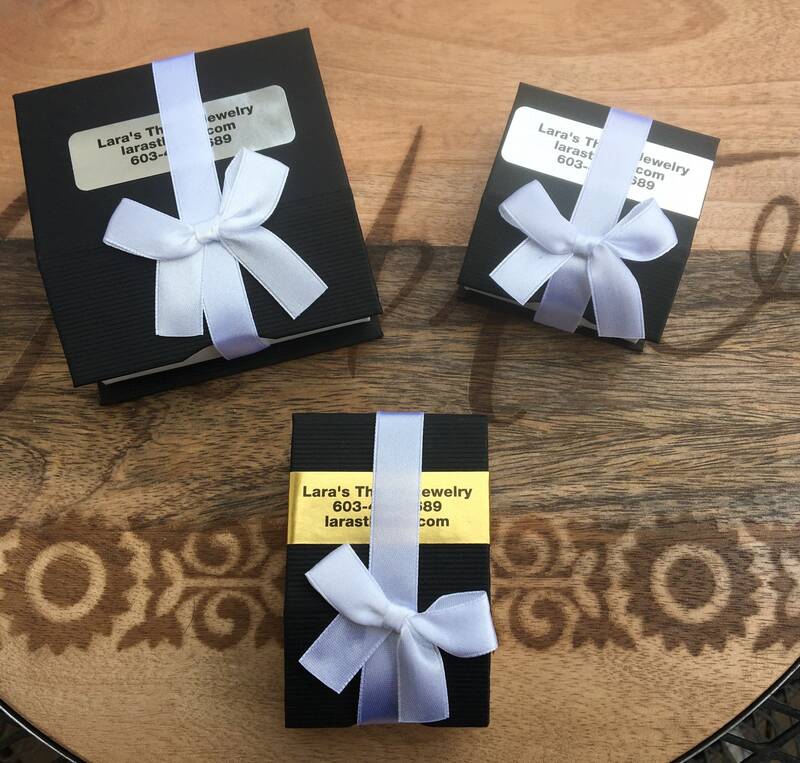 Will arrive is black jewelry gift box with magnetic white ribbon.